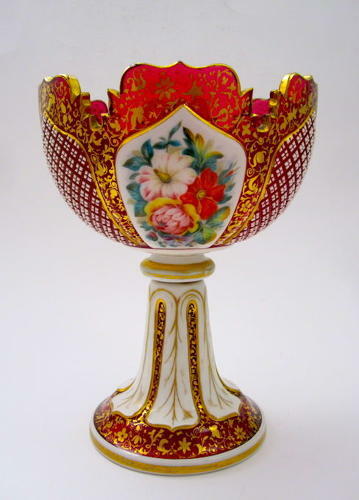 Antique Bohemian Cranberry Overlay Glass Bowl with Alternating Panels of Flowers and Cross-Hatching. Three Hand Painted Panels of Flowers Alternate with 3 Panels of Cross-Hatching. Excellent Condition and Beautifully Painted.